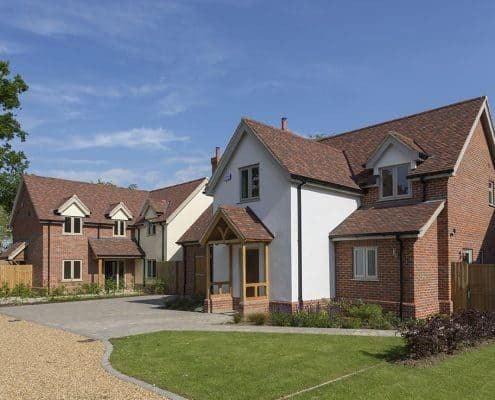 When development started on three homes at Mill Street, Gislingham in Suffolk, Orchard Developments called on longstanding materials partners to design and build three stylish homes that were suitable for modern living. 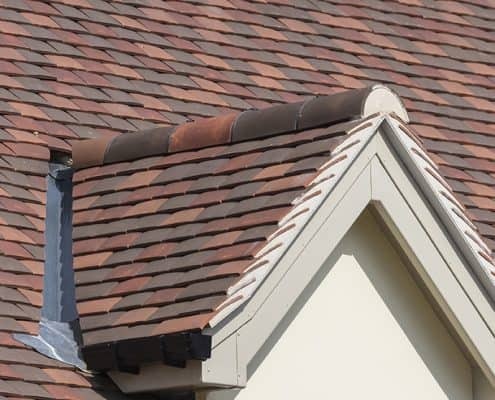 The homes needed to offer a high quality finish by utilising superior products, including a roof tile mix that would complement the surrounding homes and buildings. 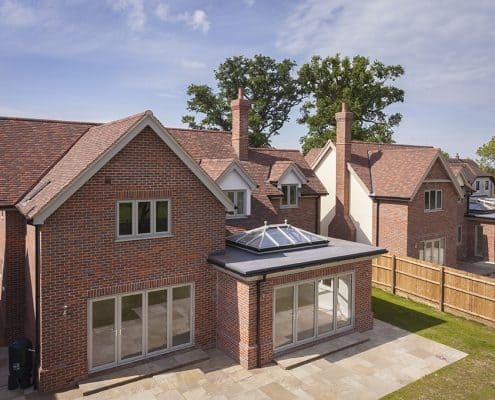 The three homes, which were built between October 2012 and March 2014, combine a modern layout with open plan living at the forefront and a focus on creating light airy spaces within the home. 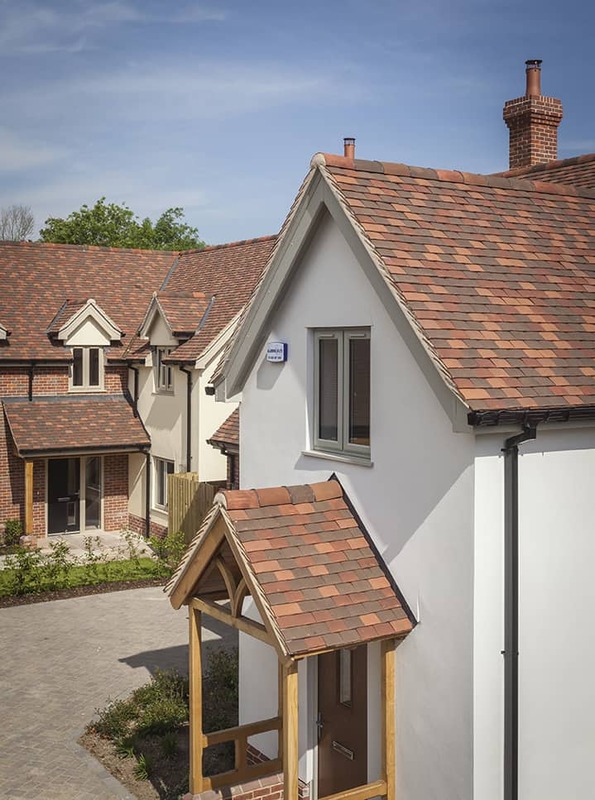 Due to the three new homes being situated in the curtilage of a listed building, the exterior design blends both a traditional look and materials with modern quality and specifications. 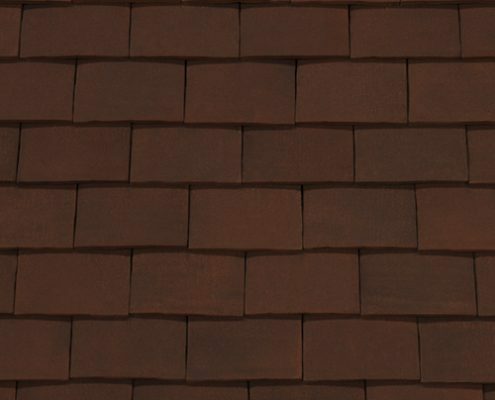 Colour selection was deemed important, so the roof tiles played a major part in the initial design of the three homes. 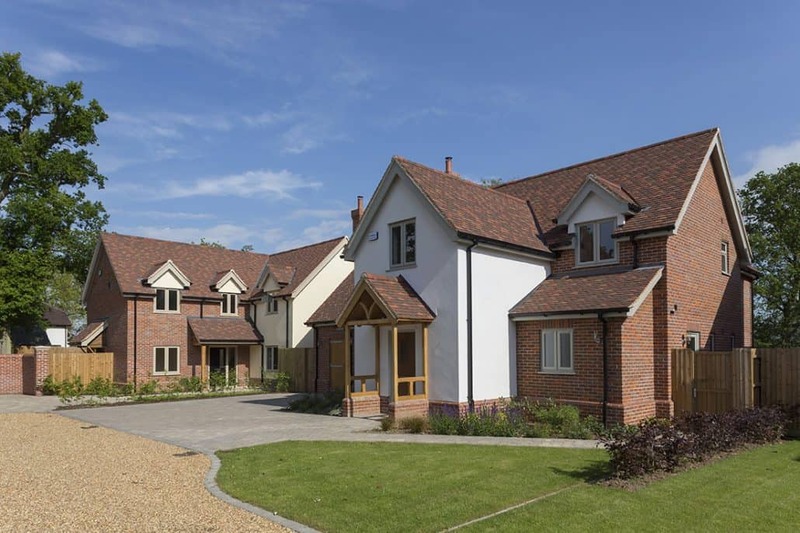 Orchard Developments boasts a 20-year working relationship with Sandtoft, the roof brand of Wienerberger, the leading supplier of wall, roof and landscaping innovations, and called upon the team to provide both tiles and a dry-fix system for the project. 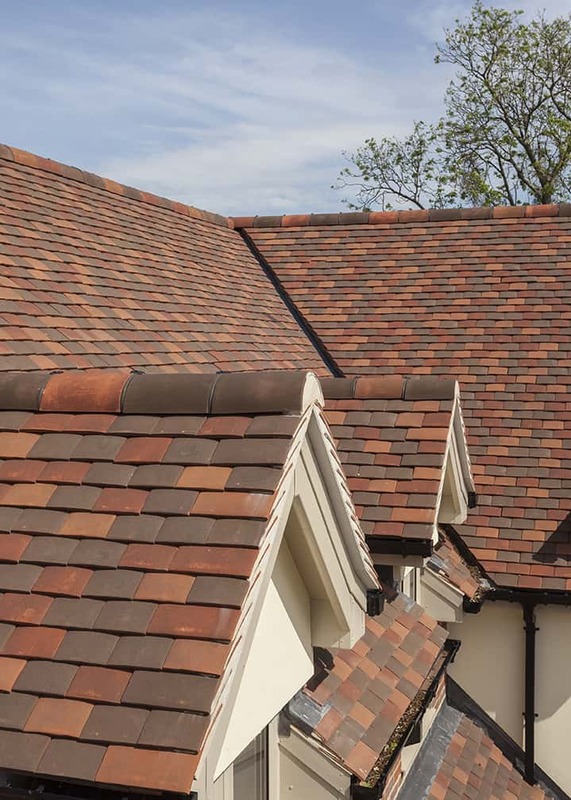 Having chosen to work exclusively with clay for a number of years, a clay plain tile was the clear option for Orchard, with the handcrafted, Barrow being chosen. Everyone knows about clay – at least they think they do anyway. 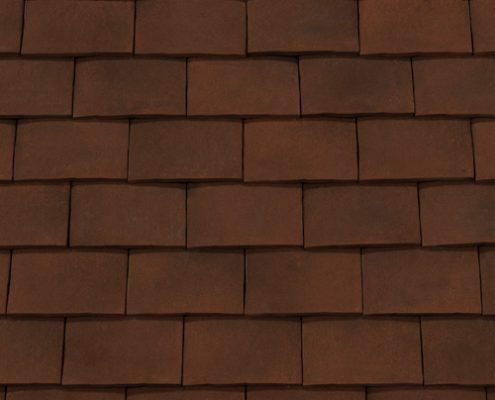 Most know of the inherent solidity and security associated with the material, and of the rich architectural history of clay brick in the UK. 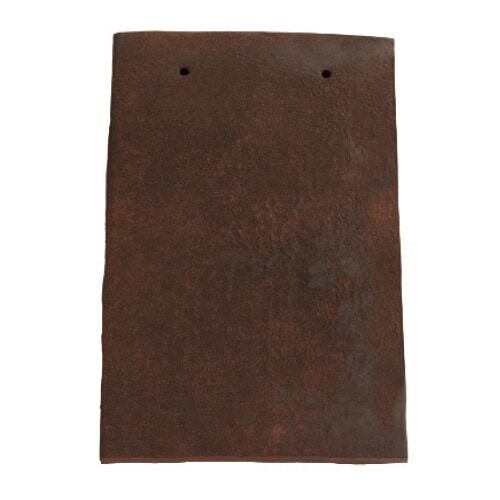 However, perhaps some of clay’s other benefits are still too often overlooked. 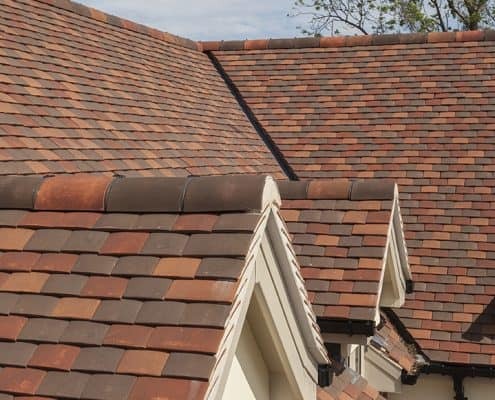 Indeed, clay has the potential to be an unsung material hero, meeting most structural requirements while giving architects a variety of options in terms of product, application and design. 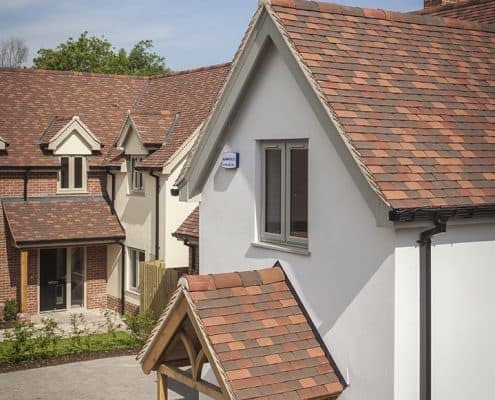 The versatility of the material, combined with its inherent properties, makes it an extremely viable and attractive choice for specifiers and architects alike. As a natural material, its sustainability credentials are invariably strong, while it also provides a winning combination of being low maintenance, extremely durable and thermally efficient. 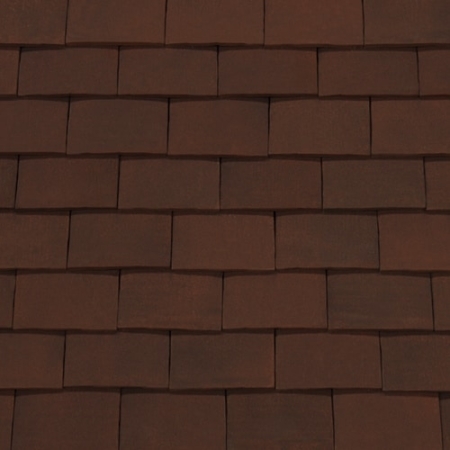 Clay also works beautifully with other common materials such as wood and glass, both in terms of practical efficiency and kerb appeal. 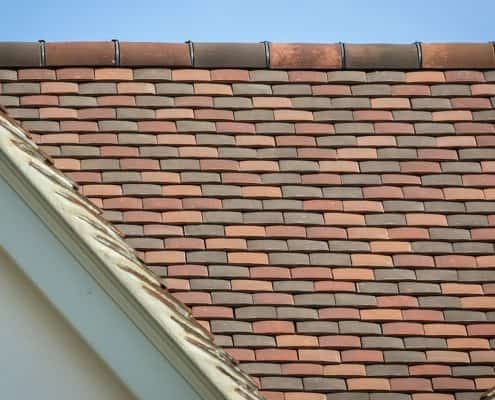 Such is the durability of the product that it can be easily recycled even at the end of its building life, while clay is also one of the easiest materials for modifying a building in the future. Not only that, it’s comparatively cost effective against many other façade materials both in terms of total installed cost and whole life costs. 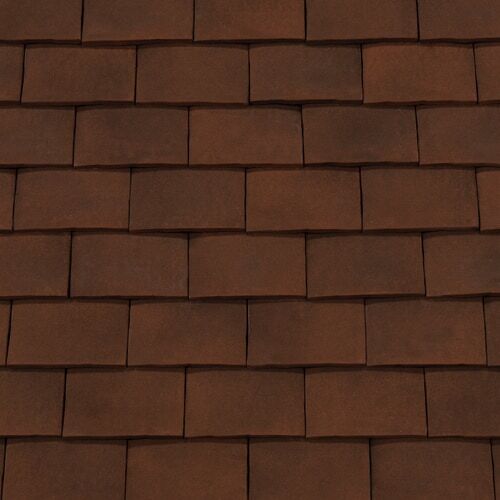 As colour was an important part of Orchard’s design, the fact that clay keeps its strong, beautiful colour for life, made it an obvious choice, and a Barrow Brindle Mix was selected as the perfect colour design for the three roofs. 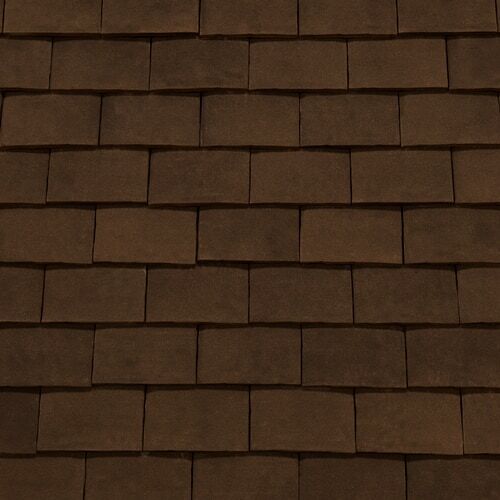 Blending three stylish shades – bay brown, burnt oak and dark ruspa – to create the perfect mix, the tiles, also incorporate a lightly sanded finish and a subtle form, which creates the appearance of a traditional aged roof with character. 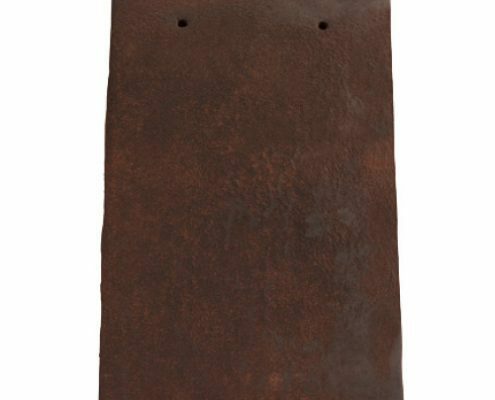 The Barrow is aimed at those wanting a traditional handmade appearance at an affordable price. 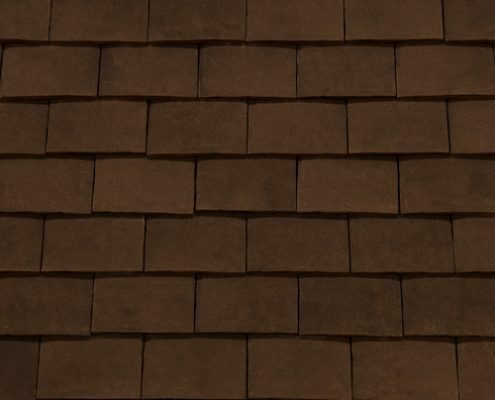 The manufacturing process ensures that a generous application of sand is embedded into every tile to create a rich look characteristic of a true handmade tile, without the typical associated cost. 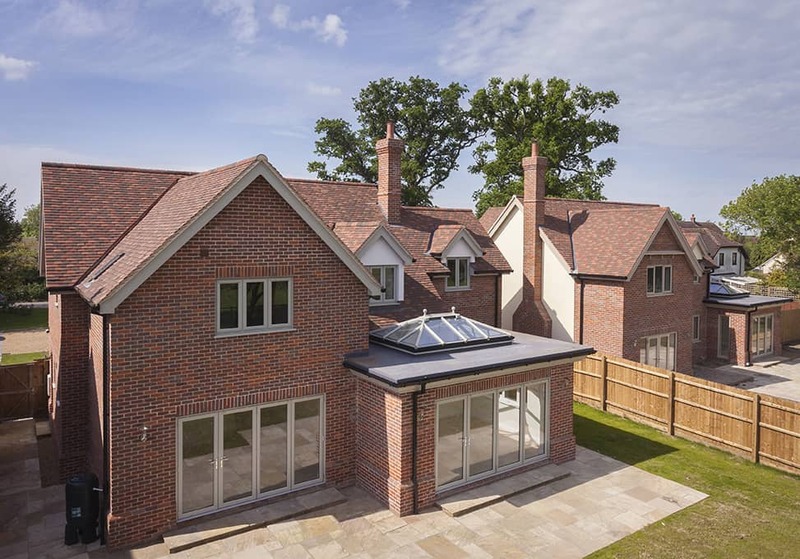 With the new buildings sitting within the curtilage of a listed building, the team had to work alongside a listed buildings officer in terms of the planning and design of the homes. Another benefit of using clay is that it is a natural planning friendly material, especially in areas where the material choice is important due to the local vernacular. In addition, Orchard also chose Sandtoft’s universal ridge and hip system as its dry fix solution on all three roofs. 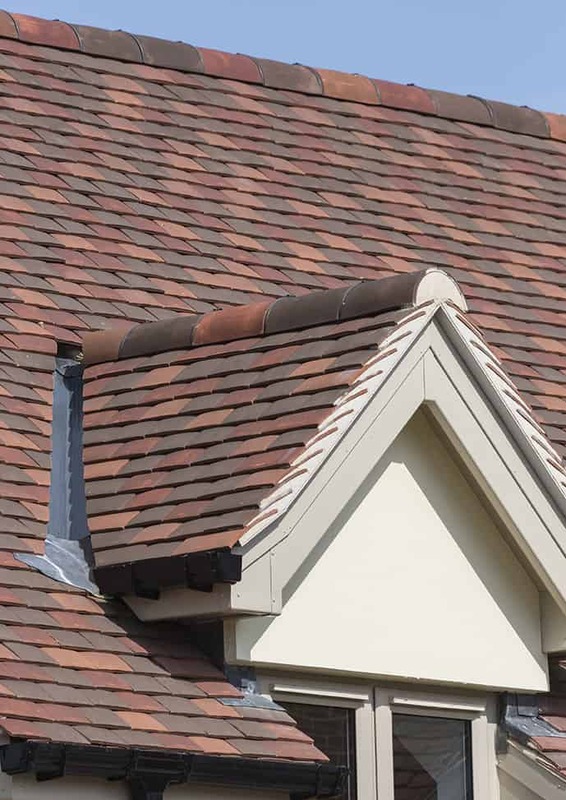 The Multiversal Ridge and Hip System uses a rigid ridge union – the ridge-ridge seal makes it much easier and faster to install than the more common flexible alternative. 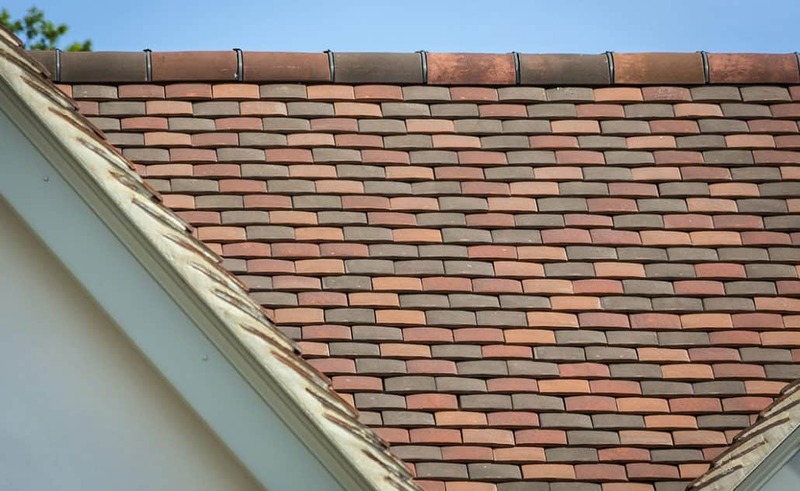 Sandtoft’s dry-fix system works in harmony with Sandtoft tiles, and is the perfect partner for a plain tile such as the Barrow.